NEW YORK (AP) — With its first smartphone designed completely in-house, Google is demonstrating one of the benefits of moving production from Asia to the U.S.: It's letting buyers customize phones to give them their own style. Workers at the factory in Fort Worth, Texas, assemble the custom phone and Google ship it to the buyer's door within four days. The Moto X is going on sale in about a month at all four national wireless carriers — Verizon, AT&T, Sprint and T-Mobile — starting at $200. Initially, only AT&T will offer the customization option, but Google said it hopes to make it available across all carriers soon. The company will offer 18 different back covers ranging in color from "spearmint" to "cabernet," a choice of black or white fronts and seven different metallic accents for details like the volume button. That makes for 252 possible style variations of the phone. In the fall, Google plans to offer four variants of wood for the back cover. The Moto X is the first smartphone to be assembled in the U.S. Even though the concept of the smartphone was pioneered here and many phones have been designed in the U.S., the vast majority of phones are assembled in Asia. With labor costs rising in China, some electronics manufacturers are looking to move manufacturing back to the U.S. Apple is moving production of its Mac Pro desktop computers to the U.S. this year. The Fort Worth factory will let Google stamp the phone as "Made in the U.S.," but assembly is just the last step in the manufacturing process, and accounts for relatively little of the cost of a smartphone. The cost largely lies in the chips, battery and display, most of which come from Asian factories. For instance, research firm iSuppli estimates that the components of Samsung's latest flagship phone, the Galaxy S4, cost $229, while the assembly costs $8. Google sees other value in a U.S. factory. "Over time, by having the engineers closer to the factory floor, we'll be able to innovate faster and develop products that actually are quite interesting down the road," said Dennis Woodside, head of Google's Motorola division. The factory is owned and run by Flextronics International Ltd., a Singapore-based contract electronics manufacturer. It's set to employ 2,000 people. Google bought cellphone pioneer Motorola Mobility for $12.4 billion last year. While it launched some phones last year after the acquisition, those were designed while Motorola was still independent. 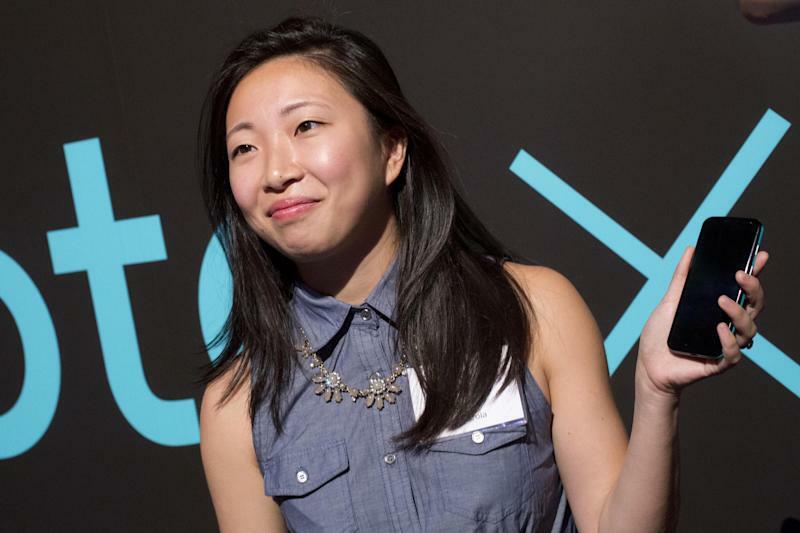 The Moto X is the first phone that "gives you some indication of how Google is thinking of hardware," Woodside said in an interview. Google has previously worked with other phone manufacturers to create Google-branded "Nexus" phones as launch platforms for new versions of Android. 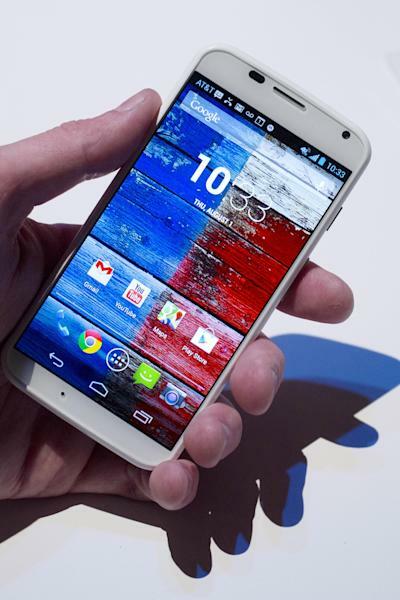 The Moto X looks much like other smartphones, with a 4.7-inch touch screen. It comes with a no-frills implementation of Google's Android operating system, a contrast to recent phones from Samsung and HTC, which put their own stamp on the software with various add-ons. The most unusual feature of the Moto X, apart from the customization option, is that it's always listening for its owner's voice. When it hears the phrase, "Ok, Google Now..." followed by a command like "call Bob," it will wake up from standby and execute the command —provided it understands it. Most smartphones offer voice control, but it's usually activated by pressing a button. Rick Osterloh, the head of product management at Motorola, said the Moto X has a special chip devoted to listening, which means it doesn't have the drain the battery by keeping the main processor running all the time. It should be able to pick up the owner's voice even in the noise of a car, he said. Google is backing the launch with a big marketing campaign, including TV ads. The Moto X represents its best chance this year to make back some of the money it spent on buying Motorola, and the $1.7 billion the division has accumulated in operating losses since the acquisition. Motorola has become marginalized in the global smartphone market, taking just 1 percent of recent sales, according to research firm IDC. 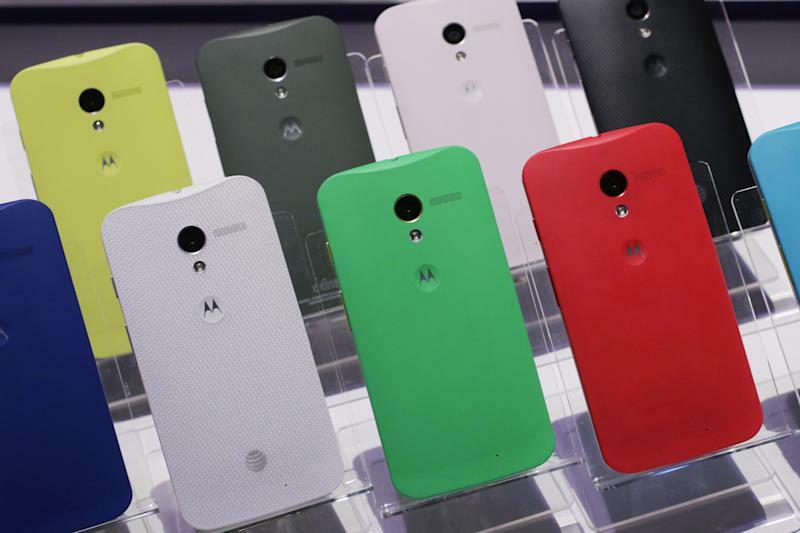 Google has slashed Motorola's workforce to 4,600 people, down from 20,300 last year. The acquisition was motivated mainly by Google's desire to own Motorola's patent portfolio, which provides it with ammunition to defend fellow makers of Android phones from Apple's and Microsoft's patent claims. Motorola's patents haven't proved very useful so far, and the division puts Google in the uncomfortable position of competing with other companies that make Android phones. Analysts see another value in Motorola: it gives Google a toehold in smartphones, acting as insurance against the possibility that Samsung, the dominant maker of Android phones, could jump ship to another operating system or create its own version of Android. Google's stock rose $16.47, nearly 2 percent, to $904.22 Thursday.